EU bosses are planning to stop recognising UK qualifications for hundreds of UK jobs in a ‘no-deal’ Brexit scenario, it has emerged. 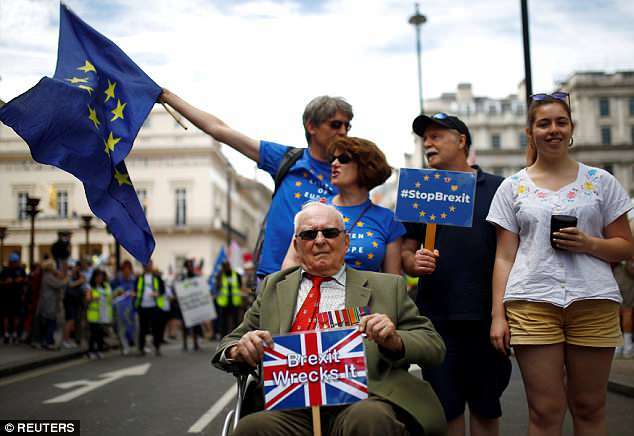 The European Commission has said a directive which accepts qualifications for professions including dance teachers, doctors and gas engineers will no longer apply to British citizens if there is no withdrawal agreement. The move would hit those scheduled to complete their training after the UK’s exit, the document said. 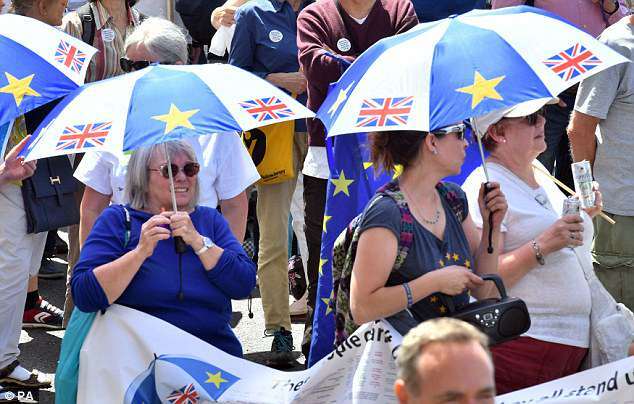 It came as anti-Brexit protesters marched through central London today to call for a fresh vote on the final terms and Boris Johnson warned the government against a ‘bog-roll Brexit. Social workers, neurologists, paediatricians and IT technicians are also among those on a long list of affected jobs. An EU memorandum said: ‘All persons who need recognition of their professional qualifications with a view to access a regulated profession are reminded of legal repercussions. The 2005 directive, which would cease to apply to British citizens without an agreement, covers ‘regulated professions’ including medicine and finance. Chartered surveyors, bouncers, neurologists and orthodontists are among the 216 professions listed by the European Commission as regulated jobs in the UK. But Liam Fox told the BBC it is ‘essential’ the EU ‘understands… and believes’ the Prime Minister’s assertion that no deal would be better than a bad deal. He said the threat had ‘added credibility because if we were to leave, the economic impact on a number of European countries would be severe’. ‘I think our negotiating partners would not be wise if they believed that the Prime Minister was bluffing,’ he said. Plane manufacturer Airbus warned on Friday that it could leave Britain, where it employs about 14,000 people, if it exits the EU without an agreement. A Government spokesman insisted they do want a Brexit deal, telling MailOnline: ‘To be clear, this Government does not want nor expect a no deal outcome from these negotiations. ‘As a part of our Withdrawal Agreement, we have already agreed the continued recognition of these qualifications where recognition decisions were received, or where recognition procedures were ongoing, before the end of the implementation period. Previous articleWHAT DO WE KNOW ABOUT LLAENNOG AP MASGWID WHO INSPIRED THE LEGENDS OF KING ARTHUR?